Informetica can now automatically create an internal supplemental training record for a user when they earn a certification. The training record will include a copy of the certification as a PDF file. This is an optional rule that you can apply when you create a new certification. Training records created both manually and with the certification tool appear on the supplemental training screen and report R404. This functionality is available for clients using the supplemental training module on their systems. 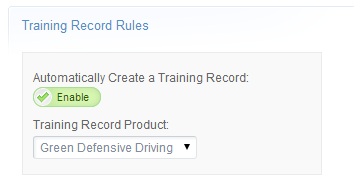 To have this new functionality enabled for your system, please enter a SRS ticket to request the new certification training record rule. We can supply you with documentation on the tool as well.